Some of you are aware of a cottage industry whereby “entrepreneurs” scrape the websites of local law enforcement, put mugshots on the web, and then, for a small but tasty fee will take them down when an aggrieved individual complains. I wrote about this last year (as did Scott Greenfield, see also Reuters). No, I don’t know how such people can live with themselves by creating misery for others just so they can turn a buck. But that is only a secondary point of this post. As first reported by the New York Law Journal ($), a New York judge shot down the Freedom of Information request of Kyle Prall, who owns one of those extortion-like sites. In Prall v. New York City Department of Corrections, Justice Darrell Gavrin denied the request, which came to her attention when Prall sued for the information after being denied by the Department of Corrections. 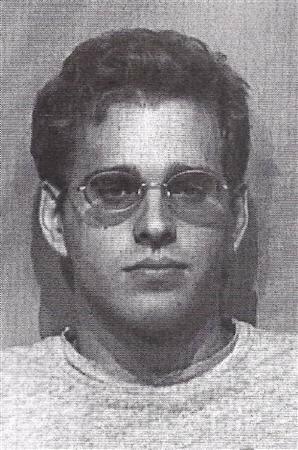 The website, BustedMugshots.com (no link, no juice),publishes the names, addresses, dates of birth, arrest records and photos of inmates. The charge is $68 to have the data removed. demonstrated a particularized and specific justification for withholding the dates of birth and addresses of inmates. Respondents assert that the dates of birth and addresses of inmates are not relevant or essential to their work, as it is primarily charged with the duty of detaining inmates and preparing them for successful reentry into the community. This personal information has been reported to respondents in confidence and the information is not relevant to the ordinary work of the New York City Department of Corrections. As to that branch of the petition which seeks photographs, respondents properly withheld photographs of inmates as the disclosure would constitute an unwarranted invasion of privacy resulting in personal and/or economic hardship to inmates. Specifically, respondents contend that “the department is not privy to the circumstances surrounding any trials, court appearances, and possible cooperation with enforcement” and the release of inmate photographs could expose them to harm. Furthermore, inmates will suffer economic hardship if their photographs are released because petitioner intends to post these photographs on his website and then demand a $68.00 fee to remove each photograph. Given the earning capacity of inmates, the $68.00 fee is quite steep. If the fee is not paid, an inmate’s photograph and other information will remain on the website, causing personal and economic hardship due to the notorious nature of the photograph which would be readily available to a prospective employer, creditor, potential landlord, or the like. Respondents also claim inmate photographs are exempt from FOIL disclosure because disclosure will endanger the lives and safety of inmates and their family members. In support of their argument, respondents submitted the affidavit of E. Perez, Assistant Chief of Security for Department of Corrections. Mr. Perez states that he has more than 20 years experience and explains that the majority of violence in jails is gang-related. He opines that the release of photographs of inmates would increase gang violence targeted at inmates and their family members. Personal information such as names, addresses and photographs of gang members in jail, which is ordinarily not available to gang members outside the prisons, would be more readily available through exposure on the internet; this exposure would endanger the lives and safety of inmates. Interestingly, petitioner did not rebut the affidavit of Mr. Perez. The only real question I have on this, why would a lawyer be a party do such a scummy project, whose only purpose is the creation of misery so that someone can profit? In this case Prall was represented by John Campbell of Tilem & Campbell. It is one thing to represent someone bad who’s been arrested, but assist him in creating misery by representing him in a civil suit? As I wrote just yesterday, you have to learn to say no to potential clients. Update: Just days after this post, the United States Supreme Court weighed in on another case dealing with semi-public governement data: Sometimes the government will give it out and sometimes not, depending on who you are and what the data is being used for. Is Kyle Prall an Extortionist? Earlier this year the legal blogosphere saw a disturbing act, when First Amendment attorney Marc Randazza was the subject of abuse. A woman, that he declined to represent, bought URLs with his name, and those of his wife and child, and sought to destroy his Google reputation with her search engine friendly rantings. Then she offered to pull the postings down for a fee. Bloggers ripped her up, down and sideways for her conduct, amid claims that this was extortion. But she is not alone, it appears, in this type of racket. Enter, stage right, Kyle Prall, from Travis County Texas. Kyle Prall doesn’t dwell in the sewer of creating content and then pretending to be in the “reputation management” business of offering it to be removed, but he is darned close. His modus operandi is to get mug shots from those that are arrested, put them on the BustedMugshots.com, and index them with the name, town and state of the arrest. In other words, in a very SEO-friendly manner to make sure that anyone Googling the person’s name will find the picture. Never mind that a mug shot isn’t a conviction of anything. You really think he cares? This is about reputation destruction. Then he offers to remove the information for a fee. Reputation management, at your service. So what if he played a huge part in destroying that reputation? LaBarba paid what the site describes as “nominal” fees – $68 per photo for service within 10 business days, $108 within 24 hours – to make the photos disappear. An Internet search of her name now leads to genial photos of LaBarba pictured with lots of friends. I’m not a criminal defense guy, so I won’t give definitions of extortion. But I do wonder what others have to say on it, because it sure looks extortionate to me. More importantly, perhaps, I wonder what Kyle Prall tells his family and friends what he does for a living. Does he tell them that he deliberately tries to hurt others so that he hopes to profit from the pain he induces? When the book of his life is ultimately written, what will he say that he did for society? Who did he help? What did he create? What is his legacy? What will his tombstone say?